Princess Peach + Rocks + Water = a very happy girl in her element! This was taken yesterday at a river in Vermont. Looks like she is having tons of fun! Aw, cute shots! Look at her posing – adorable! What a lovely looking spot! Just look at those trees! Magnificent. I have never been there. It looks very memorable and I guess now I know I need to add Vermont to my list. Looks like you had a blast. She’s such a cutie! That looks like a great day out. She is so cute! There’s nothing lovelier than capturing those special childhood moments Looks like a fun time out with the fam! So much fun! I remember doing that as a kid too. This looks like so much fun! Skipping rocks is so much fun! She is having a ball! Awesome photos! I’m trying to teach my 4 year old son how to skip rocks. 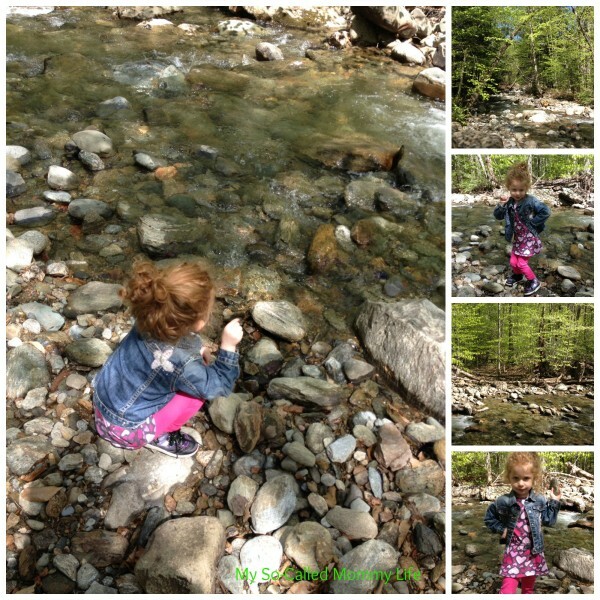 Lots of fun with rocks!